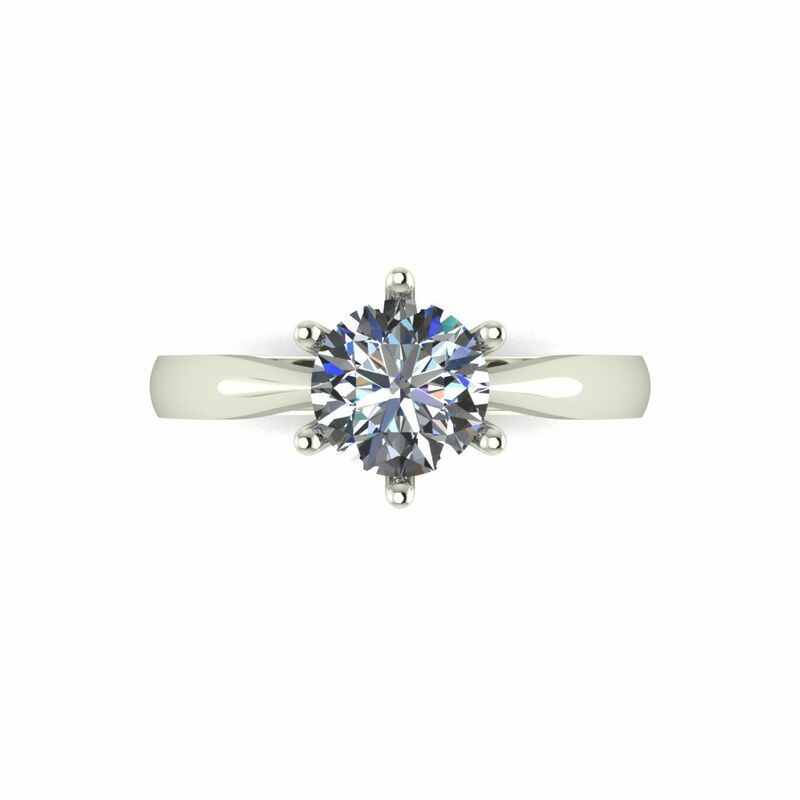 Forever One Moissanite platinum 1.00 carat round brilliant solitaire ring by Charles & Colvard. 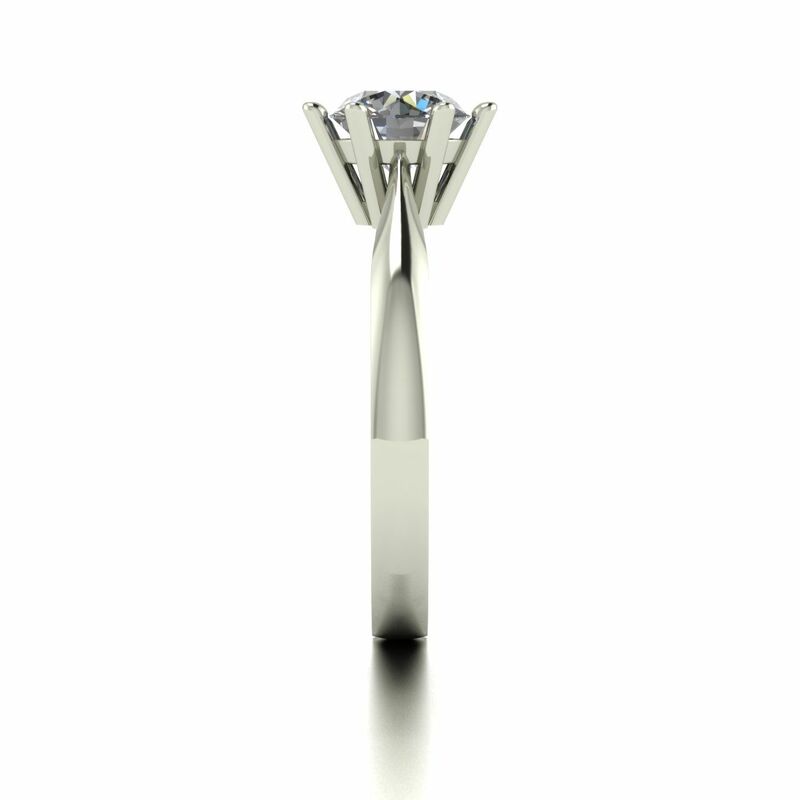 Features a single 1.00 carat equivalent round brilliant Forever One Moissanite gemstone measuring 6.5mm. Charles & Colvard Forever One is a colourless gem in the D-E-F range colour. Comes complete with gift box and Charles & Colvard certificate of authenticity. Available in sizes G to Z. If you are unsure of your ring size, please contact us for a free ring sizer. 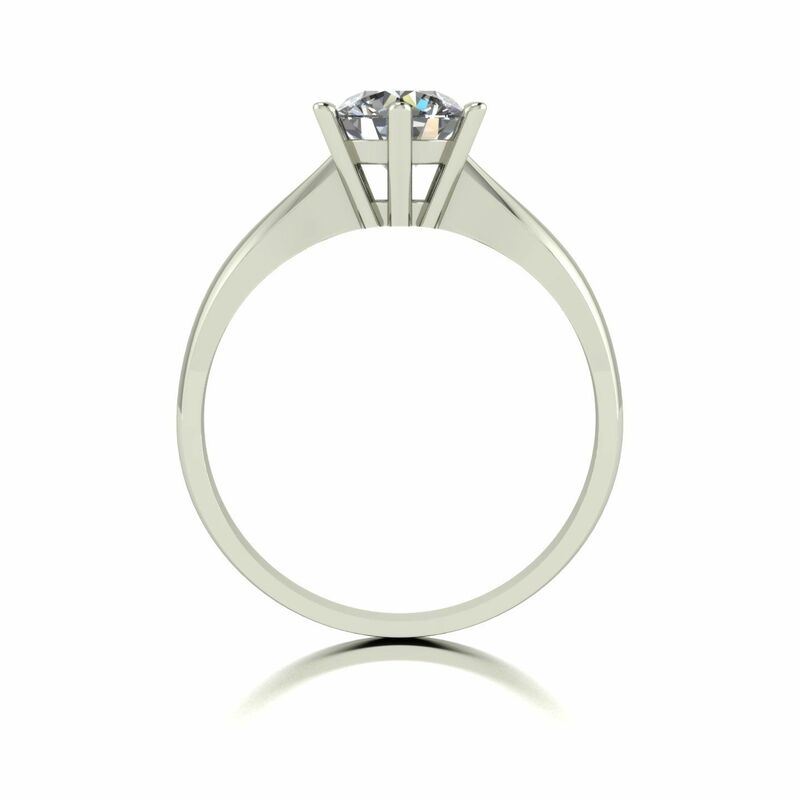 This ring is hand crafted in the UK to order - please allow 7 working days for free UK delivery. MPN: F1-RP0001-100. 0% interest free finance available - apply at checkout.